If you love Japanese parfaits, TORA in Toronto has released a recipe for their Wa-Parfait – an ode to the classic Japanese dessert. 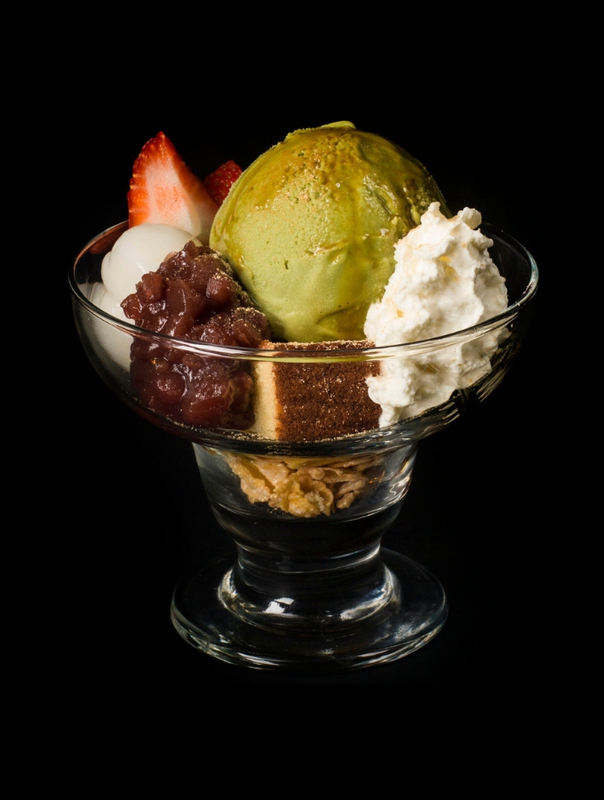 It features spongey castella cake, sweet adzuki beans, matcha ice cream and an assortment of toppings. Here is the recipe for some inspiration. Heat the oven to 350F (175C). Beat eggs in a mixer, adding sugar in parts. Mix milk and honey in a separate bowl, then heat until the honey melts. Sift the bread flour in another bowl and set aside. Add half of the milk mixture to the egg mixture and mix for a few seconds. Add half of the bread flour and mix. Add the rest of the milk and honey, and mix, then lastly add remaining bread flour and mix for 2-3 minutes. Line a 9″X9″ baking pan with parchment paper. Pour the cake batter in the pan. Bake at 350F (175C) for 10 minutes, then lower the temperature to 320F (160C) and bake another 30-40 minutes. Cover the top with aluminum foil if it browns too quickly. Take the cake out from the oven and immediately drop the pan from a height of about 5″ (12.5cm) to release the air in the cake to avoid collapsing. Spread plastic wrap on a flat surface, cool the cake top side down on the plastic. Wrap it with plastic after it has completely cooled.